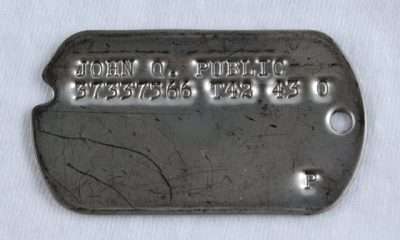 The Identification Tag was first introduced December 20, 1906 by General Order No. 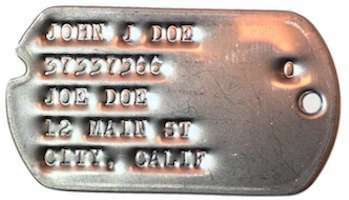 24 which described it as follows: an aluminum Identification Tag, the size of a silver Half Dollar, stamped with the name, rank, company, regiment, or corps of the wearer; it will be worn by each Officer and enlisted man of the Army whenever the field kit is worn; it will be suspended from the neck, underneath the clothing by means of a cord or thong passed through a small hole in the tag; it is further described as being part of the uniform this tag will be issued by the Quartermaster Corps gratuitously to enlisted men and at cost price to the Officers. War Department Circular N° 262, December 19, 1941, stipulated . one Tag to be suspended from the neck underneath the clothing by a cord or tape 40 inches in length passed through the small hole in the Tag, the second Tag to be fastened about 2 ½ inches above the first one on the same cord or tape, both securely held in place by knots. DOG TAG 2′ X 1-1/8″: official dimensions, with notch at left (to position tag on the embossing machine) small outer rim, and hole (dia 1/8″) for necklace. 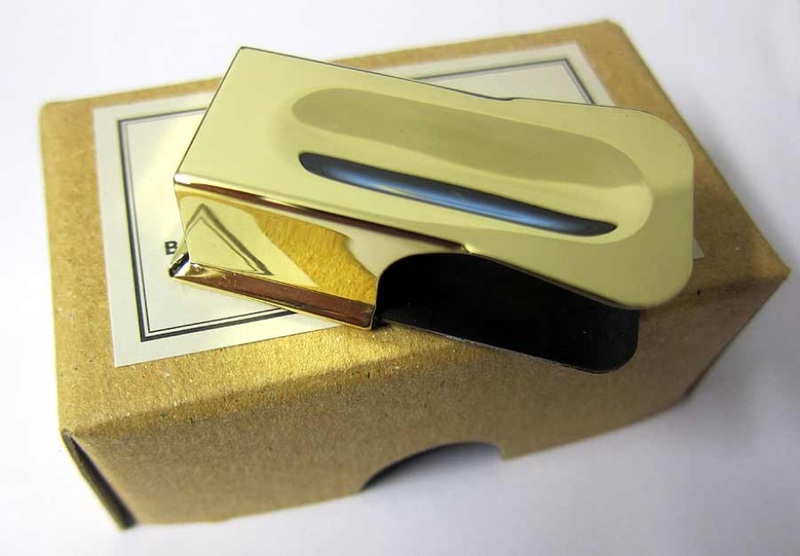 Description : rectangular shape, smooth rounded corners, small rolled edges, 2€ long, 1 1/8 wide, and 1/40€ thick, with notch at left (to position Tag on embossing machine), and 1/8€ hole for necklace; made of either brass or stainless steel. 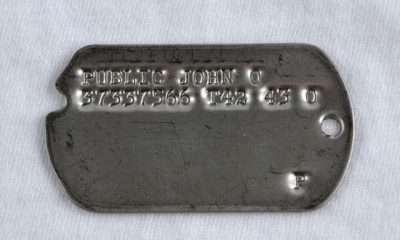 Description : length 40€ (distance between 2 Tags = 1 ½) – in 1942, the first tag is to be suspended on a necklace 25€ in length, while the second tag is to be fixed to a separate necklace extension not further than 2 ½€ under the first one – first models were in cotton, plastic, nylon, rayon, the official metal necklace was only introduced in 1943 (with hooks & catches) the bead type (initially sold at PXs) quickly became popular and gradually replaced the 1943 issue, it consisted of 2 lengths of stainless steel, of approximately respectively 28 and 6 in length, easy and practical for general use.